Planning an exhilarating road trip anytime soon? Pennsylvania is a great destination! A U.S. State, Pennsylvania has diverse topography with citizens generally experiencing cold winters and humid summers. Pennsylvania is one of the most important states in the country as it encompasses the historical and natural worlds of the United States and also includes landscapes, lush southeastern farmlands, gorgeous mountains and the vibrant cities. Hence, we are guiding you with the top ten most awesome places and landmarks (in no particular order) in Pennsylvania which will surely take your breath away! Largest city of Pennsylvania, Philadelphia is also the only consolidated city-county. Philadelphia is the greatest tourist attraction of the state for a mere reason that it contains the history and the birth of the nation, United States. 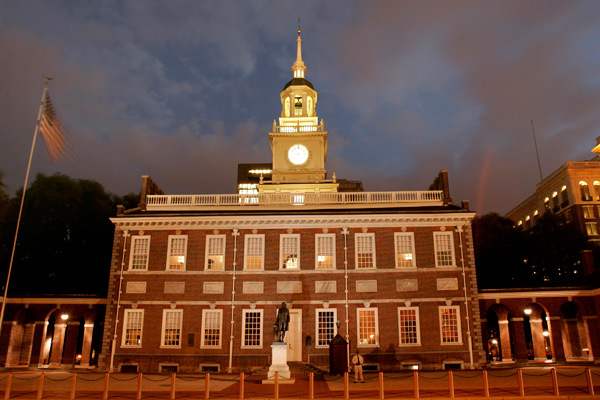 History buffs can’t skip a trip to Philadelphia to see where the Declaration of Independence was signed and where the Unites States truly began. This city has a huge list of attractive and historical areas to its credit. The most important of them all is the Independence National Historic Park and the Liberty Bell where the Declaration of Independence was signed and where the table and chair used by George Washington is treasured. 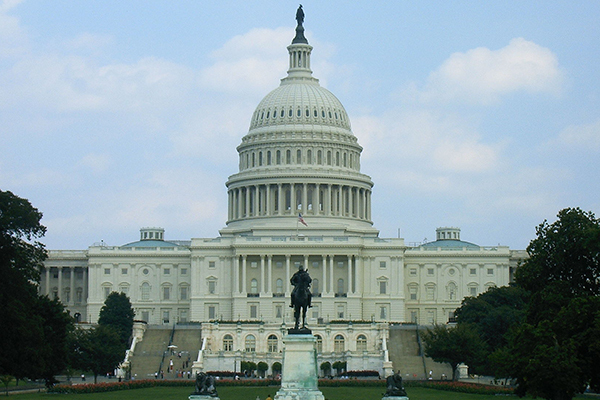 Other Landmarks include Congress Hall, Old City Hall, Carpenter’s Hall and many more. You would definitely not like to miss out to one of the most historical places of one of the most powerful countries of the world! 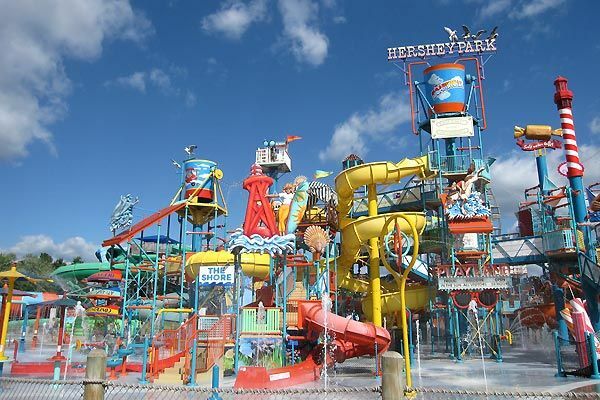 As ‘chocolaty’ as the name sounds, our next destination in the list would undoubtedly be the largest family park of Pennsylvania, The Hershey Park. You guessed it right; Hershey is the name of the town largely associated with the manufacture of chocolate for one of the most famous chocolate brands in the world. Originally built in 1906 as a recreational area for Hershey’s workers, this park went on to expand itself over the years to attract visitors from all over. This park has entertainment for kids and adults, ranging from roller coasters to aquatic shows. A great opportunity for people to bring out the kid in them and enjoy! Another kids and tourist attractions of Pennsylvania is the Philadelphia Zoo. Located in the Centennial District of Philadelphia, Pennsylvania, on the west bank of the Schuylkill River, Philadelphia zoo was the first zoo to be established in the United States. Interestingly, this Zoo offers its tourist with downloadable maps in their mobile phones so that they do not miss anything in this fantastic, colorful animal kingdom. This zoo houses an immense number of creatures from the animal kingdom. 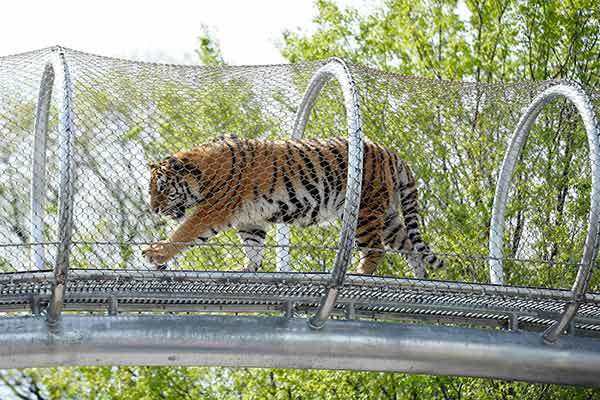 The animals are even allowed to roam around some large parts of the zoo and get a feel of their natural habitats. The zoo also organizes many weekly events for their tourists ranging from animal attractions, camel or pony rides and more. 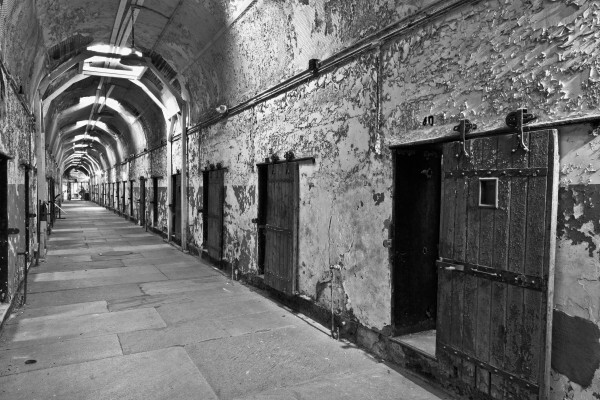 Another famous tourist attraction in the city of Philadelphia is the Eastern State Penitentiary. This prison, one the most high tech prison in the world guarded famous criminals such as Willie Sutton and Al Capone. The penitentiary refined the revolutionary system of separate incarceration first pioneered at the Walnut Street Jail which emphasized principles of reform rather than punishment. This prison was operational from 1829 to 1971 with very less amendments to the architecture. With high ceilings, huge pillars and long corridors along with the great history of the prisoners who resided here, Eastern State Penitentiary is now a great spot for tourists especially photographers. 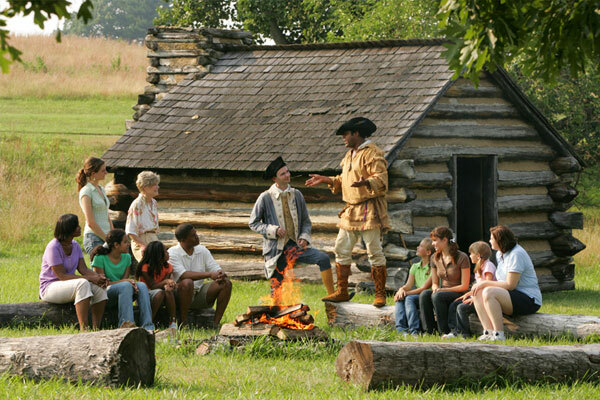 Pennsylvania, in a whole dwells with the history of America, especially during the American Revolutionary War. Our next landmark also deals with the same. Valley Forge, located approximately 20 miles northwest of Philadelphia, is the site of the military camp of the American Continental Army over the winter of 1777–1778 during the American Revolutionary War. Tourists come here to absorb history, tour the monuments and see the ‘First Pentagon’ where General Washington achieved military strategy. There are many shopping centers located near the park, for instance, Encampment Store at the Visitor Center which might hit the eyes of those interested. This place is also welcomes tourists with exhibits, tours and films. As a landmark, this place is hugely important for all the Americans as they experience a tryst with the valiant soldiers who fought for their country. 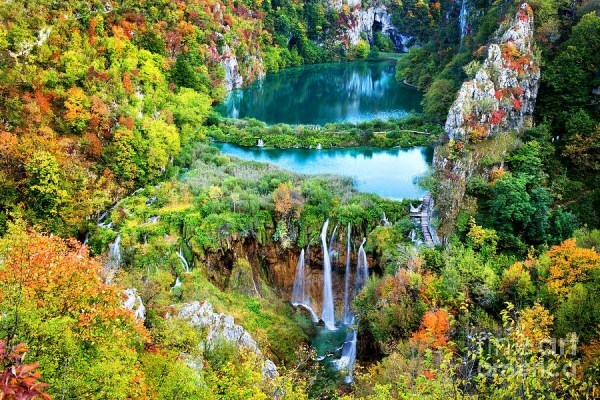 It is a must visit for all! 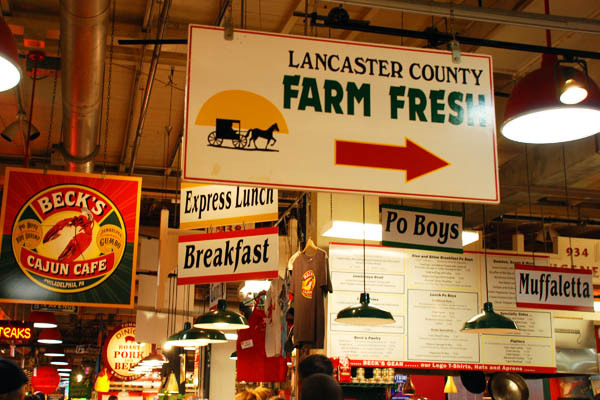 Located in Lancaster County, Strasburg is a small town known for its Amish culture and railroad history. One way to appreciate this area is to take a ride on the Strasburg Rail Road, which offers 45-minute scenic journeys aboard the country’s oldest turn-of-the-century steam trains. There is also The Rail Road Museum Of Pennsylvania which exhibits the grand and heavy locomotives and steam engines of the mid – nineteenth and twentieth century. 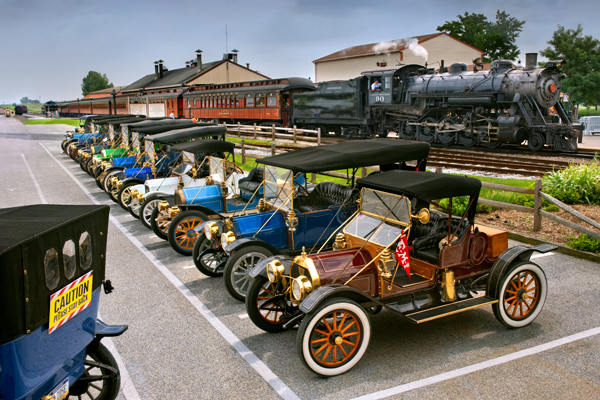 Strasburg thus provides the visitors with a feeling of awe as they travel around the city witnessing the amazing early technology of the world, with vintage cars, heavy locomotives and brilliant engine works! 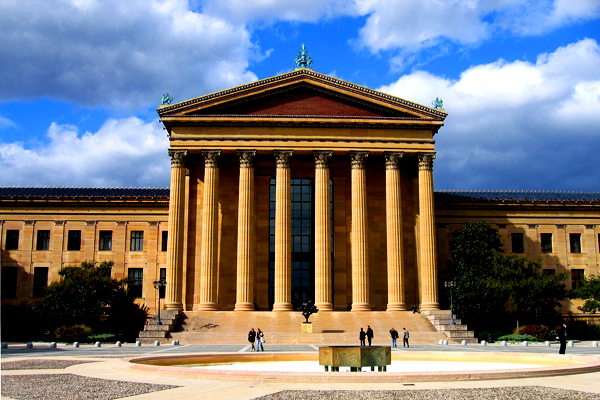 You might have seen museums all over the world but you would not have seen any museum like the Philadelphia Museum Of Art. In this museum, dwells America’s largest collection of art and triumphant creations from all over the world. Apart from the exhibits, this museum also provides for tours, performances, lectures and classes for the museum enthusiasts. Ancient pre-Columbian artifacts astound with the painstaking decorations on pitchers and fanciful sculptures. Furthermore, from the steps leading up to the museum, which was featured in all of the “Rocky” movies, is a grand view down Benjamin Franklin Parkway to the landmark tower of City Hall. Therefore, this is one spectacular museum to ever miss! The next on our list also shares its history with war and revolution. 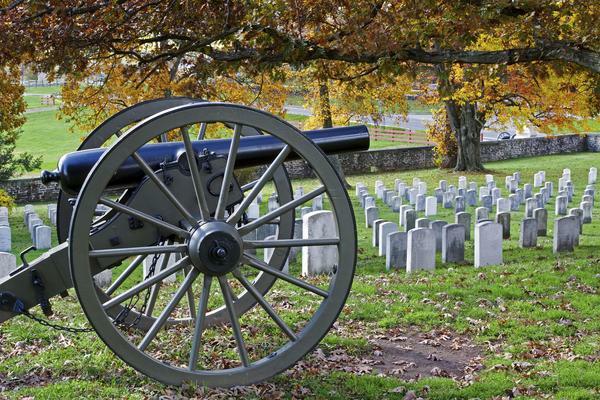 The Gettysburg National Military Park is the landmark which protects the landscape of the 1863 Battle of Gettysburg during the American Civil War. Located in Gettysburg, the park includes most of the Gettysburg Battlefield, many of the battle’s support areas during the battle for instance, reserve, supply, & hospital locations. Some of the famous artifacts contained in here are the Seminary Ridge, which was the primary Confederate position west of Gettysburg; Cemetery Ridge, the site of Union Lines; and Oak Ridge, the site of the opening day battle of the Civil War. The Pennsylvania State Capitol is the seat of government for the U.S. State of Pennsylvania. Located in Harrisburg, The State Capitol was designed in 1902 in a Beaux-Arts style with decorative Renaissance themes throughout. In this landmark, tourists specifically get to see a harmonious fusion of old and new architecture ranging from stained glass and influence of modern day artists on the architecture of the building. It is definitely a very important landmark of Pennsylvania as it houses the legislative chambers for the Pennsylvania General Assembly.The building’s own importance make this landmark not just a tourist destination but also the State’s seat of liberty and justice. Our list would be incomplete without engaging the tourists with the shopping spree and the delicacies of the state! The historic Reading Terminal Market is a fabulous place to shop, dine and experience the exotic as well as fresh local foods, tours and events. Located in the city, Reading, this market is coupled with zealous participation of the people in the ongoing events and carnivals where music, dance, flowers, books and house wares are quite common. This is one of those landmarks which pour out the essence of the life of the Pennsylvanians, their love for food and shopping! This is our list of top ten awesome landmarks and places to visit in Pennsylvania. However, these are not the only stunning and historical places in the Commonwealth of Pennsylvania, there are many more. Please do mention them in our comments section below.